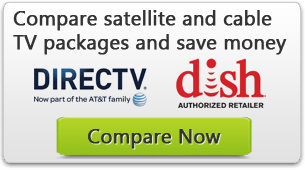 Compare business internet service providers at MyRatePlan. MyRatePlan makes finding the best business internet service for your business simple by letting you compare price, features, speed, and more. Just enter your ZIP code to get started. Choosing a business internet provider entirely depends on where you are located. By making the choice for your company you have carefully analyzed the different aspects in which the provider can support and ensure your business is the most for their money. No business can function if it takes hours to upload a file or download important data. This can be frustrating and absolutely destroy productivity in the office. By trading off speed for lower costs, a company may actually be hurting themselves and costing more money in the long term. 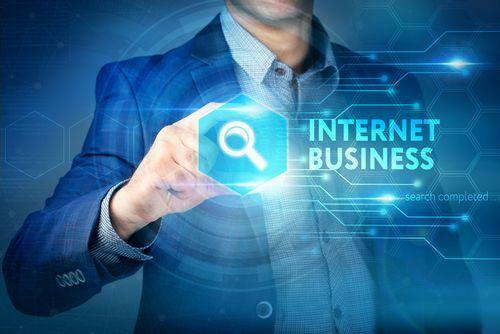 The internet is a tool for a business to succeed. Choosing the bare minimum when purchasing Internet access will not get the job done. One must take into account peak hours when more devices are attempting to access the internet at once. A company searching for an ISP must ask about bandwidth caps and throttling. They should also ask for the download rates for different times throughout the day. Inquire about any other factors that may cause the internet to function at less than its optimal speed. The business may need to check the fine print as many ISPs print the limitations there. If an Internet provider does not offer much in the way of cyber security, they are most likely not a reputable service provider. Beware of providers that do not prioritize security. High quality providers will offer anti-spam, antivirus, anti-malware, and anti-spyware defense services. It is important to see what safety features an ISP offers and the specifics of those offerings. A business may also want to check if they also provide security provisions for mobile devices on the same network. Along with internet security, one should also be on the lookout for an ISP that provides backup coverage. Should the system crash or experience a sudden stop, a good service provider will be able to restore anything that was lost from the backup. A company may also want to consider a provider with cloud-based backup systems in place. Port Access: For businesses with locally hosted servers, having port access is a must. Businesses such as these will need unlimited access to the port. Some internet service providers enact port limitations which may reduce access to certain ports needed by a business. Certain software may need to access to a specific port. If the ISP will not allow the business to use it, then that software will be unusable. This is not a good ISP. Static IP Address: A static IP address can provide many benefits for a company. This is a crucial consideration for businesses that use a Virtual Private Network. Third Party Software: Third party apps and software is sometimes offered by an ISP in order to help the business and increase the productivity of their service. Of course, these apps will cost a small fee, but they provide enormous value. Some of these apps may include conferencing software and cloud storage capabilities. If a business relies on the internet to provide their service, they will need to find a very reliable and helpful internet service provider. This sort of company has more at stake should anything go wrong with the internet, such as a slow down or unexpected loss of service. A steady connection is necessary for employees to keep doing their work and keep sales high. All businesses (not just internet-based ones) will certainly want to find a service provider that offers businesses a Service Level Agreement. This provides companies with a guarantee of uptime without interruptions. One should also look at the solutions offered by the ISP if their connection is interrupted without reason. Most often a business will receive a credit off of their next bill for the period of time that the internet is down for. It is also important to ask if the internet service provider has customer support phone lines for their clients. Make sure to determine how skilled and knowledgeable their tech staff is before using their services. Since these are the people who will be assisting the business if anything goes wrong, it is crucial that they know what they are doing. The internet is always changing and evolving. A good, well-prepared ISP should be able to handle these changes and tweak their services accordingly. One must be able to determine how adaptable a service provider is before signing up to receive their services. For example, the recent development of the IPv6 is a great example of how the internet can change. IPv6 was created to offer an unlimited number of IP addresses and replace the older version, IPv4. There are more devices today that can access the internet than ever before. If each of these devices has their own unique IP address, configuring the internet will be easier to do. Since the configuration is easier, it will cost less for the company to connect to the internet. It is important to find an ISP that knows how to deal with these sort of changes. This example is vital to keep in mind when searching for an ISP. By just asking one simple question, a company could be decreasing costs and increasing productivity.